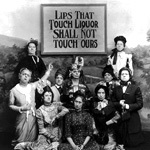 The thirteen years of Prohibition were a dark time for the United States, as the criminalization of alcohol led not only to a rise in civil delinquency and organized crime, but also to the loss of customs associated with the production, preparation, and consumption of alcohol. We celebrate Repeal Day® because December 5th marks a return to the rich traditions of craft fermentation and distillation, the legitimacy of the American bartender as a contributor to the culinary arts, and the responsible enjoyment of alcohol as a sacred social custom. It's the perfect time of year. Conveniently located halfway between Thanksgiving and Christmas — at a time when most Americans are probably not spending time with family — Repeal Day® presents a wonderful occasion to get together with friends and pay tribute to our constitutional rights. Unlike St. Patrick's Day or Cinco de Mayo, Repeal Day® is a day that all Americans have a part in observing, because it's written in our Constitution. No other holiday celebrates the laws that guarantee our rights, and Repeal Day® has everything to do with our personal pleasures. Thanks for reading about what we hope will become a celebrated day in this country. Please help spread the word about Repeal Day®, and tell a friend. Repeal Day® is a registered trademark of the Museum of the American Cocktail, no unauthorized use without permission. Email us at info@repealday.org. 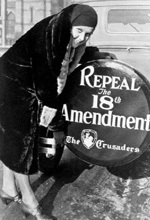 Repeal Day® was created by Jeffrey Morgenthaler. Click here for the ongoing story of Repeal Day®.